Founded in 1937, Mitsubishi Estate provides property management, architectural research, and design services in addition to real estate development. One of their current redevelopment projects includes the Marunouchi business district in central Tokyo. 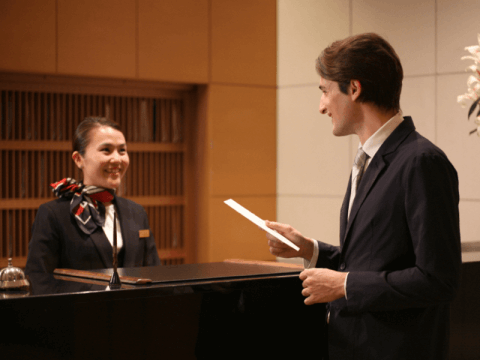 Marunouchi is commonly viewed as the city’s financial and legal district, but a push is underway to change this perception. 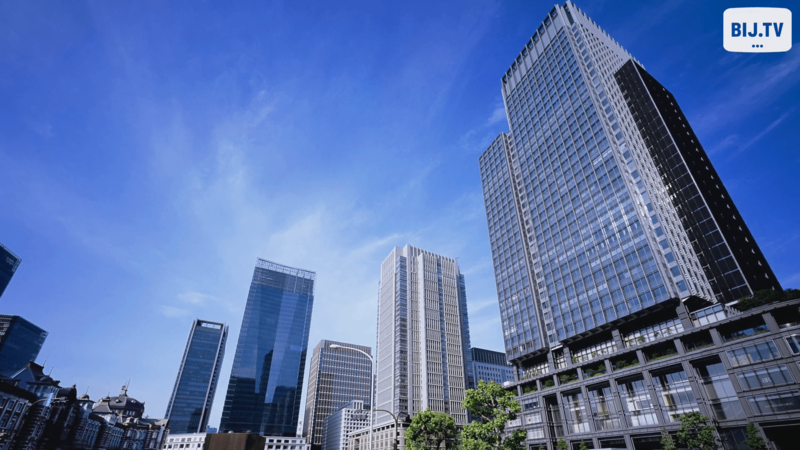 While highlighting Marunouchi as a more dynamic business and lifestyle center, where people can work, rest, and play, Mitsubishi Estate also wanted to promote the area as a desirable hub for the technology industry—particularly to foreign companies and start-ups. To do this, they needed Custom Media to create a strategy that put their message in front of the right people, at the right time, and in the right place. Reaching senior executives in the finance, technology, and legal industries was particularly important. This target market is difficult to reach and influence due to the fragmented use of communication and information channels. Custom Media used an integrated approach to spread Mitsubishi Estate’s message online and in print through sponsored content, online banner advertisements, video, social media, and magazine articles. 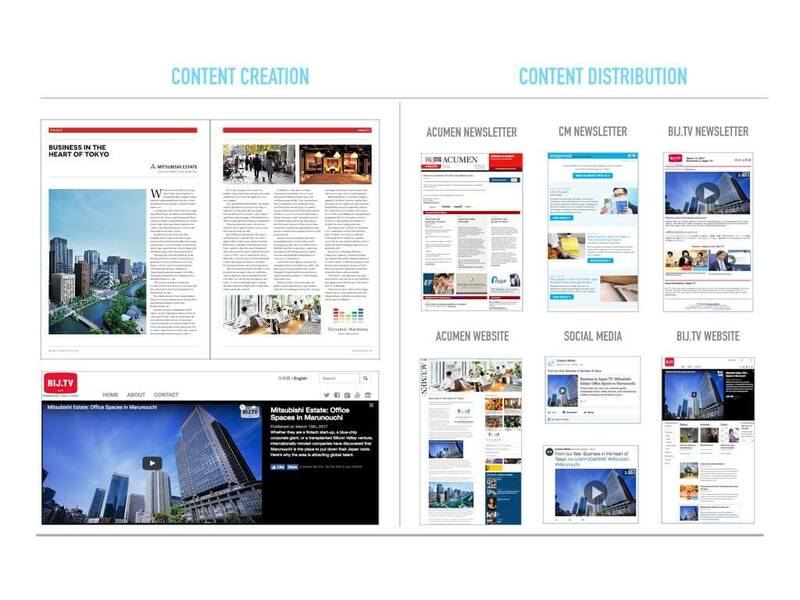 We focused on how business executives consume information and engage with media. The strategy was based on a content marketing approach designed to inform and educate, coupled with multichannel distribution across websites, newsletters, social media, and print. Custom Media used the communications channels of the American Chamber of Commerce in Japan (ACCJ), the British Chamber of Commerce in Japan (BCCJ), and Tokyo American Club (TAC), and placed video on Business in Japan TV (BIJ.TV). 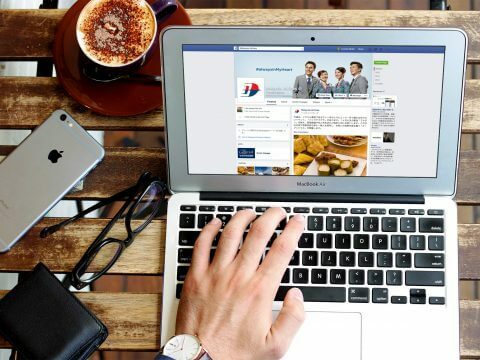 In addition, Custom Media promoted the campaign on various social media channels used by the target audience, such as LinkedIn, Facebook, and Twitter. Print ads were placed in key magazines read by business executives, and banners could be seen on the ACCJ and TAC websites. 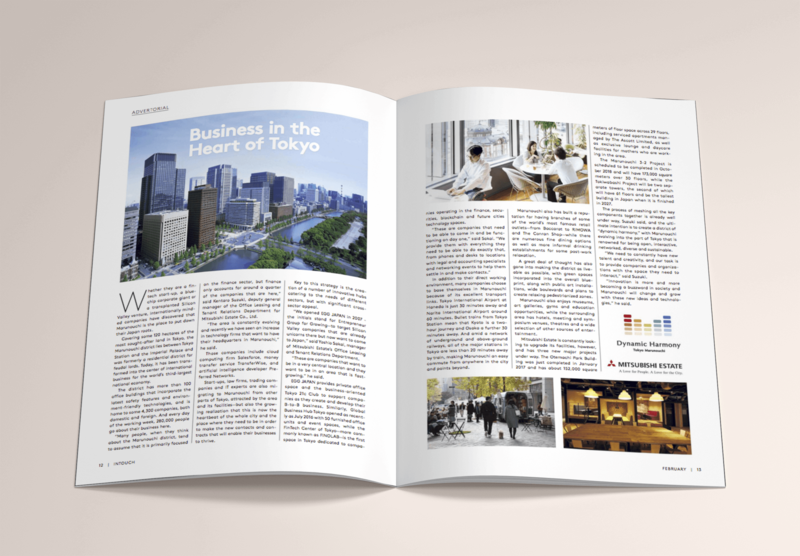 Thanks to Custom Media’s integrated strategy, Mitsubishi Estate successfully reached the target audience and delivered their message to promote Marunouchi as a diverse business district.